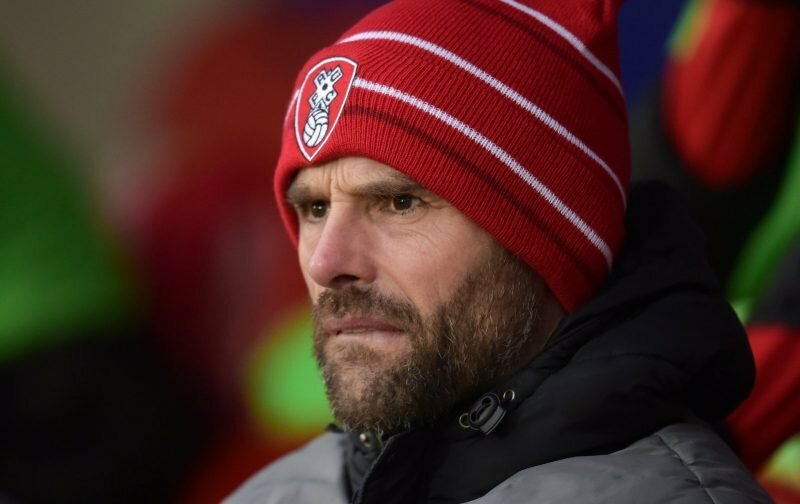 Going one up against ten men at home and then losing can only disappoint Rotherham United Manager Paul Warne as much as it did the eight thousand or so Millers fans at the New York Stadium this evening. Saying he thought we were ‘excellent’ in the first half, Warne went on to tell the Official Site that the lads will take ‘massive confidence that, for much of the game, they’ve gone toe-to-toe with Aston Villa’. I can’t agree more about the first half – I thought we were much the better side and were calm and collected and, on certain parts of the pitch, outplayed the Villa players. But I thought Villa showed their class in the second half. The penalty was a penalty – as were the other two in the game, ours and the one Marek Rodak saved – and we switched off allowing them to get another just minutes later. In the first half we’d looked class but in the second half, when it was obvious that Aston Villa would come out all guns blazing, we were running around not getting tackles in, making silly mistakes, not passing the ball as we had for the first forty-five of the night. Warney actually comments that Villa going down to ten men didn’t really help us – and I agree. We didn’t know what to do with our ‘extra’ player. It threw our game plan out which probably should have been sorted out at half-time and wasn’t. We go to Stoke on Saturday which is going to be our third difficult game of the week. It’s going to be hard there is no doubting that. But, we are still in it. We can do it but we have to take any chance that comes our way and defend for our lives. Three games in a week isn’t the best for a club with a small squad. Great first half but were beaten by a better team in the second. Onwards and upwards. Glad you enjoyed yer pie, catman!